To the right of light blue n°4 bis, 30m to the right of Faux Contact. Start to the left of Coup de Piston with a sloper left hand and a vertical hold right hand, traverse to the left on slopers and exit by the arete as for the nameless 6a (exit of Zone d'Inconfort). 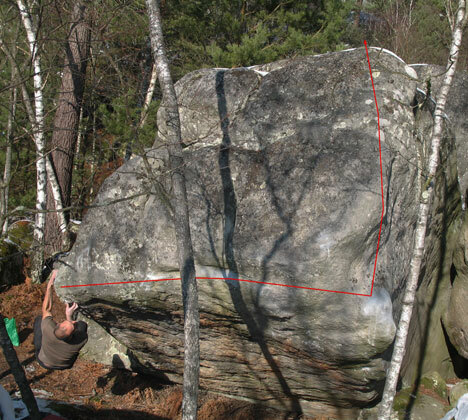 NB : only 6c/6c+ with a dynamic start.